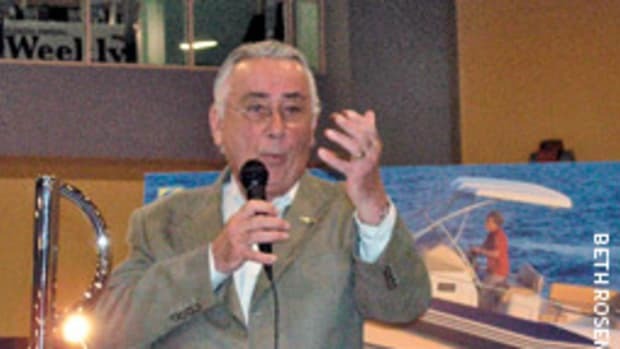 Kadey-Krogen Yachts partner John Gear will present a seminar on boat buying basics at PassageMaker Magazine’s Trawler Fest, which takes place June 26-28 in Greenport, N.Y.
12 p.m. It will target consumers interested in buying both new and used boats, and will guide them through the critical questions to ask as well as follow-up steps. From the beginning of the search to ownership of a new boat, Gear will cover the details on the purchase process including negotiating, surveys and paperwork. 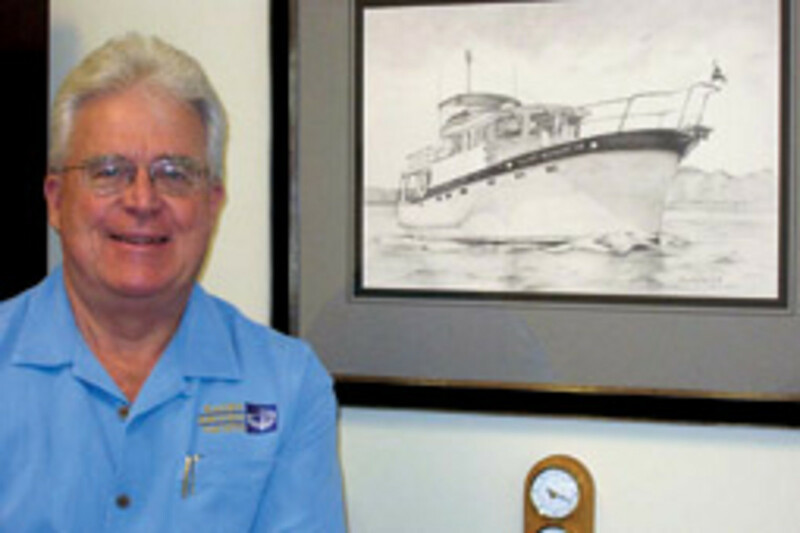 Gear purchased the Edward B. Freeman Yacht Brokerage in Stuart, Fla., in 1976, and joined Kadey-Krogen Yachts in 2002. For more information visit www.kadeykrogen.com. The M/V Explorer, a 150-passenger excursion vessel constructed by Pittsburgh’s RiverQuest, was named one of the greenest passenger vessels in the world. The title was bestowed during the first WorkBoat Environmental Award show, held in New Orleans. The vessel beat out several competitors for the title, including Caterpillar Marine Power Systems, The Holland America Line and Honda Marine. electric battery hybrid propulsion system — the first in a USCG-certified commercial vessel in the United States. The M/V Explorer made her 1,600-mile maiden voyage to Pittsburgh from the Gulf Coast in August and will celebrate a public grand opening this spring at RiverQuest’s docks in downtown Pittsburgh. The organization will use the vessel for river-based environmental education. 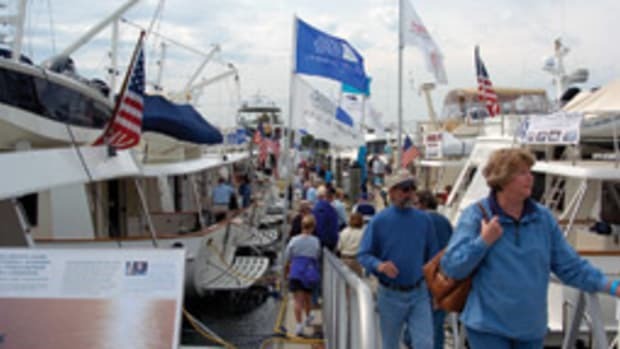 More than 2,000 people attended the first Strictly Jersey Boat Show held May 1-3 at South Jersey Marina in Cape May, N.J., according to the show manager. The objective of Strictly Jersey was to create a smaller show that would be focused around boat sales instead of ticket sales, according to Allen. 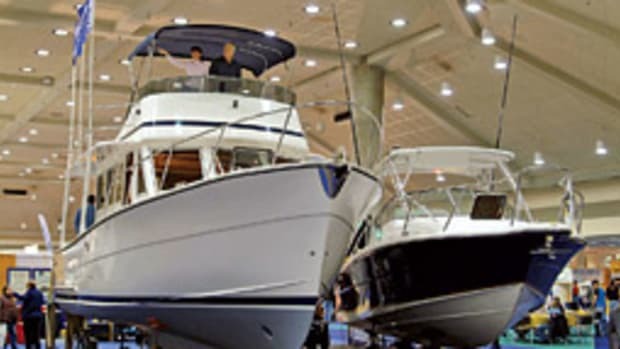 In order to appeal to serious boat buyers, attendees who had a New Jersey state boating certificate and/or a Sea Tow membership were able to get free tickets. There were 65 exhibitors, and the show was laid out to allow for sea trials of every in-water vessel. 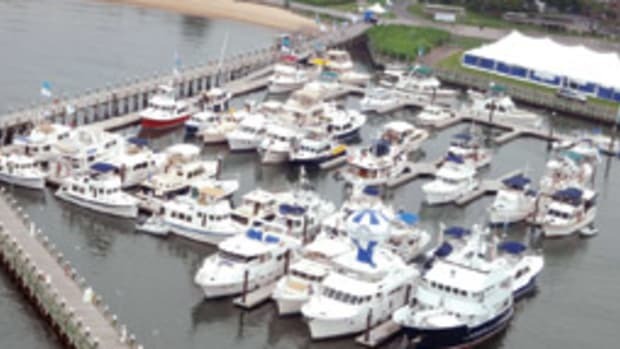 Despite the overcast skies, Jason Cavaleri, sales manager at Green Cove Marina in Brick, N.J. says they sold one boat out of the three they brought. One exhibitor was surprised by the good turnout for an intimate, first-year show. “We were very pleased with the way it was laid out; it was all fishing vessels which is the big hobby in this area,” says Mike Ryan, operations manager for Island Marine Center from Ocean View, N.J. an authorized dealer for Key West Boats Inc., Boston Whaler and Hydra-Sports. Although Island Marine didn’t sell any boats, they found the attendees were knowledgeable and experienced, Ryan says. 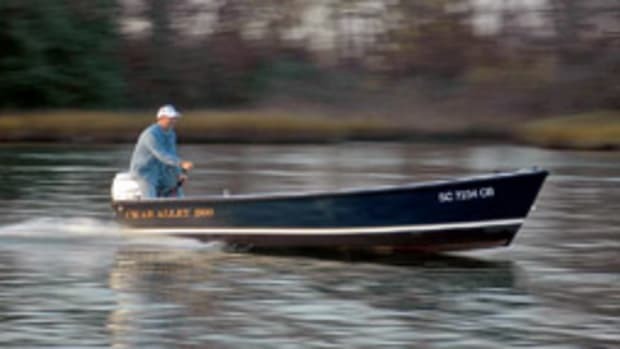 Maryland’s Task Force to Study the Boating Industry submitted its 2008 Legislative Report to the members of the Maryland General Assembly and other legislators. 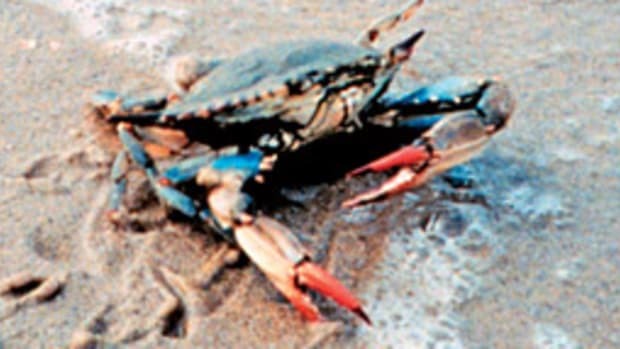 The report includes recommendations on marketing Maryland waters to out-of-towners and creating a positive environment to expand the marine industry, according to the task force. Other recommendations included adding marinas and tourism to the federal definition of commerce, and broadening and expanding the state’s definition of commercial waterfront property to include facilities that require access to water. Beneteau USA recently built hull No. 7,000 at its factory in Marion, S.C.
“This significant achievement is a testament to the craftsmanship and diligence of all the hundreds of team members at our plant,” says Wayne L. Burdick, president of Beneteau USA. Beneteau USA has a 250,000-square-foot facility in Marion, with more than 200 employees producing 30- to 50-foot sailboats.